Come join us in the taproom as we celebrate those shaping our future! 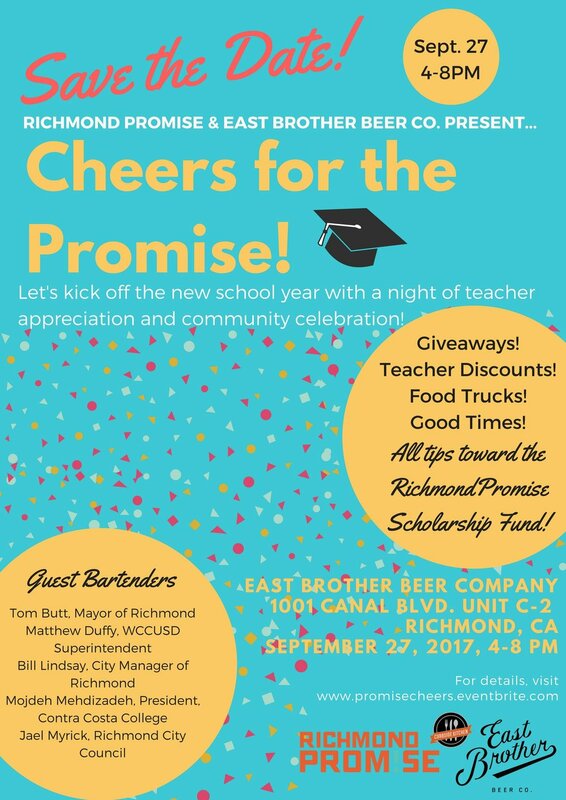 Our special guest bartenders will be raising tip money as a scholarship to be donated to a Richmond student attending Contra Costa College! Teachers don't forget to bring something showing off your school spirit (and letting us know where you teach!) so we can bring you discounted pints!